Liverpool are reportedly still interested in the potential transfer of Chelsea forward Callum Hudson-Odoi amid speculation over Sadio Mane’s future at the club. The Reds may need to make changes in attack this summer as a recent report from France Football claimed Mane had become a top target for Real Madrid. The Senegal international has been one of Liverpool’s stand-out performers this season, and would be a big loss if he were to leave Anfield. Still, Liverpool boss Jurgen Klopp has shown how good he can be at working with talented young players, and Hudson-Odoi makes perfect sense as a target for the Merseyside giants, even if Mane doesn’t leave. The 18-year-old has struggled for regular first-team football at Chelsea and it is understandable he may be tempted to leave Stamford Bridge. Sport Bild journalist Christian Falk has claimed LFC remain interested in potentially signing Hudson-Odoi, and he’s also tweeted that the youngster is also still interested in a possible move to Bayern Munich. The Guardian reported of the Bavarian giants chasing him in January, though the deal never materialised, and a move abroad could appeal after watching how Jadon Sancho’s career has taken off in the Bundesliga. It will be interesting to see how this saga pans out, with Hudson-Odoi one of England’s most exciting talents and surely capable of playing more often at any one of Liverpool, Bayern, or Borussia Dortmund, who have also been linked with him by the Mirror if Jadon Sancho leaves for Manchester United. 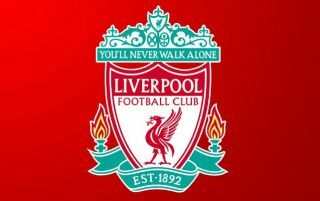 All in all, there’s potential for a major transfer merry-go-round here, but Liverpool will hope there’s a good chance of them being in the mix, even if they’ll also surely be keen to hold on to in-form star Mane.